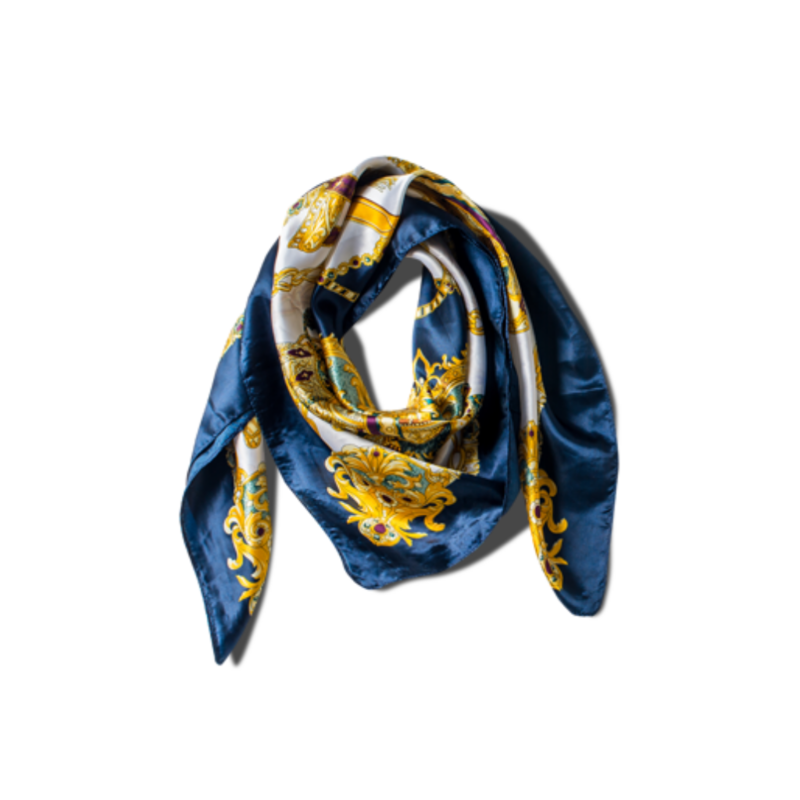 A foulard scarf is a thin, soft scarf made of silk-like material with a printed pattern. It is classic and very easy to wear in different styles or even as a hair accessory. The versatility of this scarf will easily make it one of your favourite new accessories.